Fancy one? You’ll have to really want one: it gets a list price of £65,995, and lease rates are priced from around £1,500 per month. 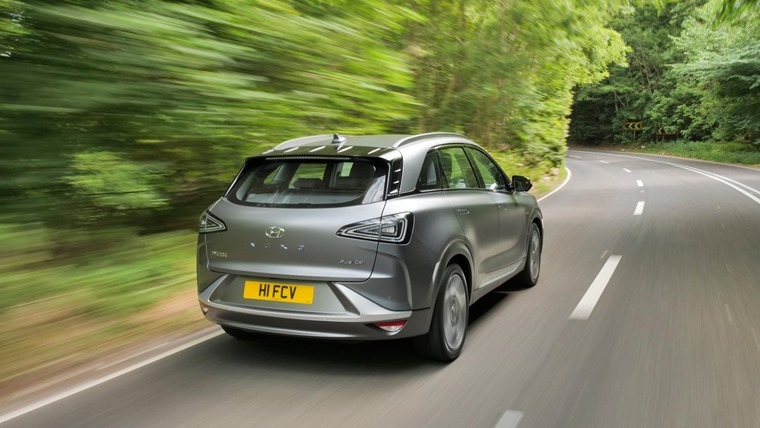 Considering you can bag an all-electric Kona for less than £400 p/m and a hybrid Hyundai Ioniq for less than £250 p/m, it begs the question… is hydrogen really the future? 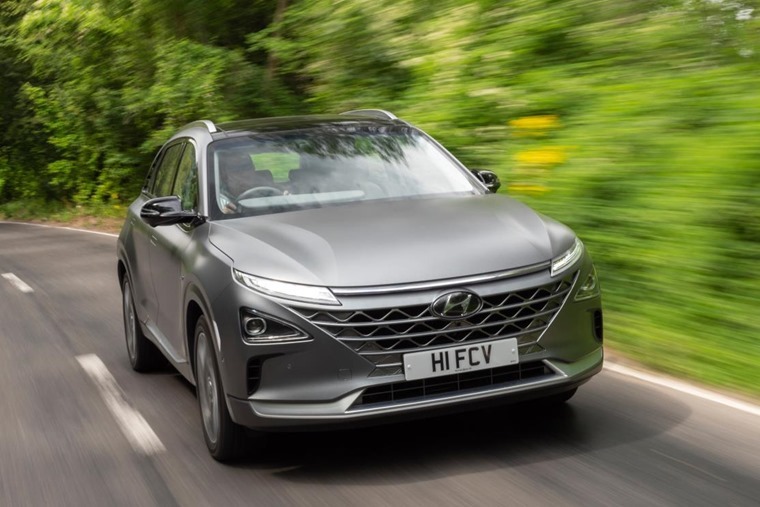 The Nexo is Hyundai’s second-generation of commercialised fuel cell electric vehicle and will be available in select markets around the world throughout 2018. Improving on the ix35 FCEV, the Nexo has an estimated driving range of 500 miles (NEDC) which is 134 miles more than its predecessor. Acceleration and power have increased to improve the overall performance. Designed to handle extreme temperature and environments, the Nexo has so far proved that the vehicle is capable of starting after being subject to overnight temperatures of -20 degrees Fahrenheit and boasts cold start capability within 30 seconds which is an industry-leading achievement. The fuel cell system warms up faster for maximum performance and also has excellent cooling performance on steep grades with temperatures exceeding 120 degree Fahrenheit. Improvements in the air supply system, performance at high altitudes and refueling times, along with overall efficiency and fuel economy, put the Nexo in a class all its own. In addition the hydrogen-fuelled car has improved power density and durability comparable with petrol-powered vehicles. “Hydrogen energy is the key to building a more sustainable society. 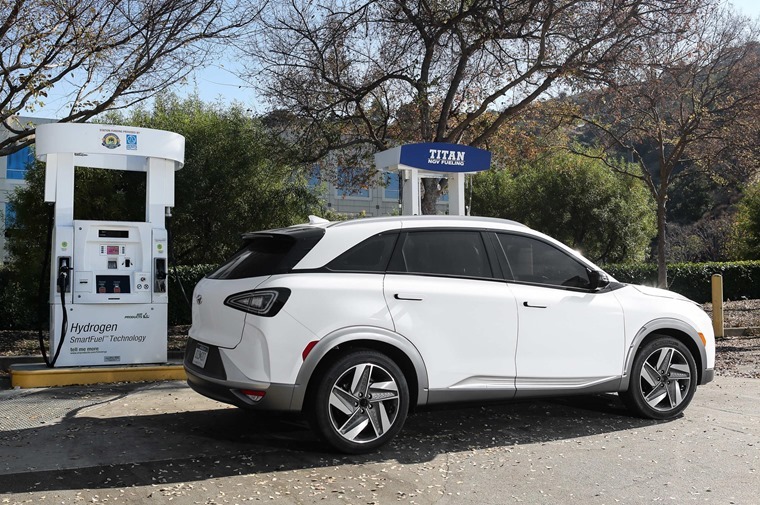 Hyundai Motor Company has already taken a lead in hydrogen technology with the introduction of the ix35 Fuel Cell,” said Dr. Woong-chul Yang, vice chairman, Hyundai Motor Company. For the first time, Hyundai’s fuel cell vehicle has been built with a dedicated vehicle architecture, with the benefits of this including lighter weight, improved power-to-weight ratio, faster acceleration from 0-60 mph than the ix35 fuel cell, more cabin space and improved fuel cell system layout thanks to the battery being relocated to the boot. Other improvements over the outgoing ix35 extends to the drivability and range too, with peak acceleration increased by 25%, acceleration from 0-60 mph is 20% faster and the Nexo has 40% more range than the ix35 fuel cell with refuelling taking only five minutes. Find Nexo lease deals here, or check out some more reasonably priced low-emission Hyundais here.